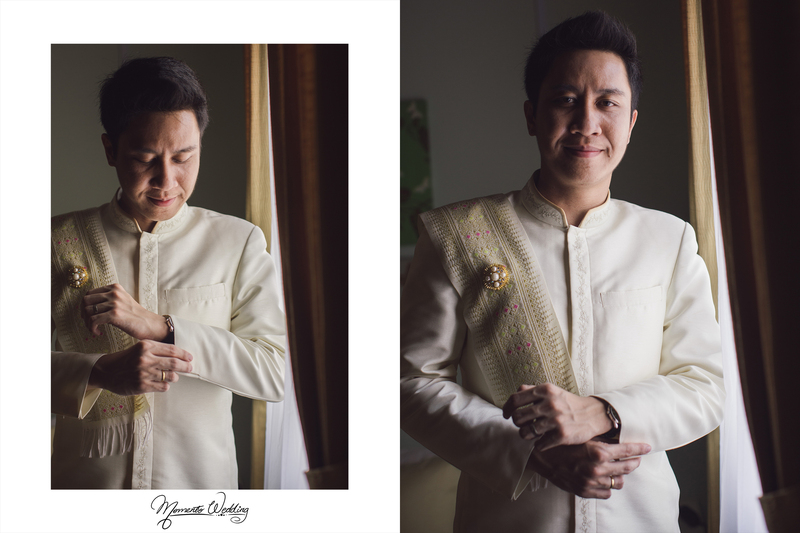 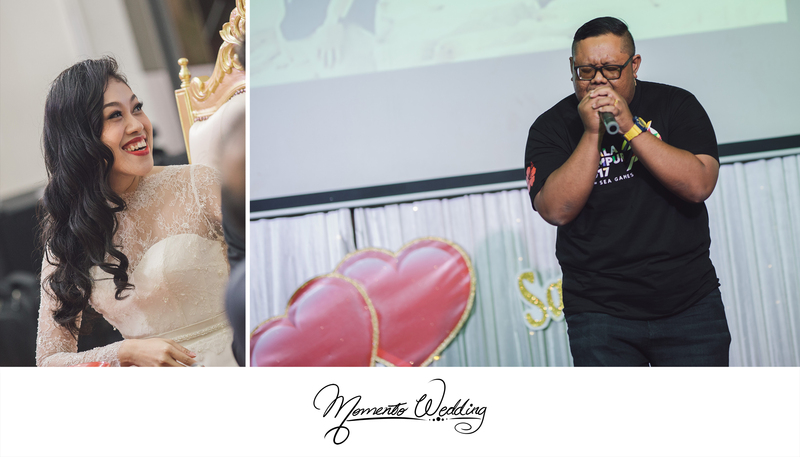 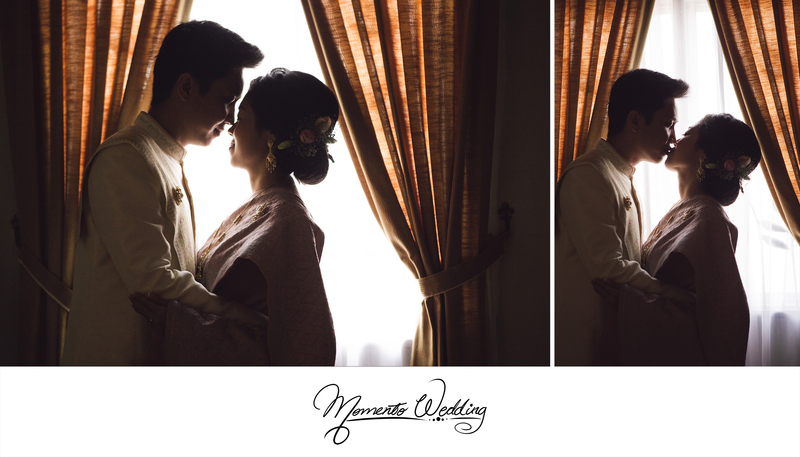 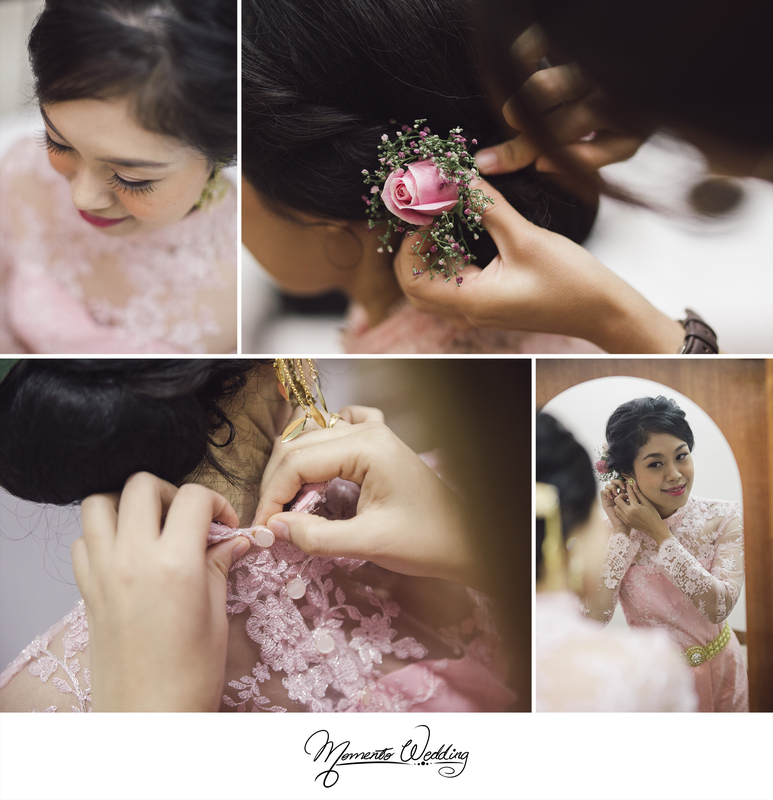 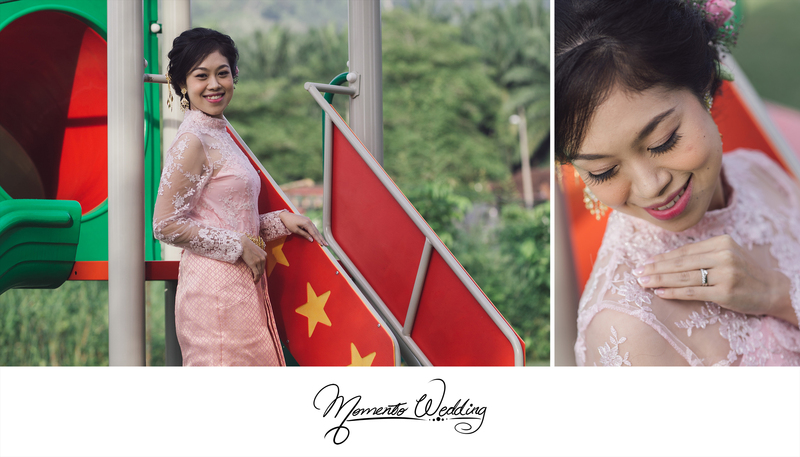 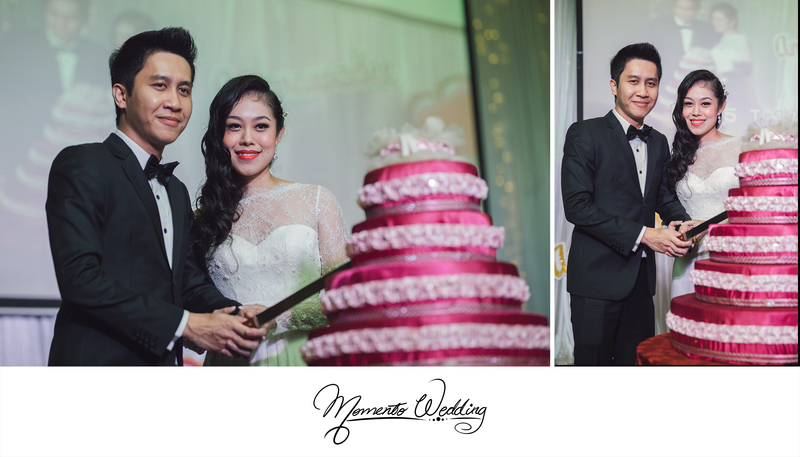 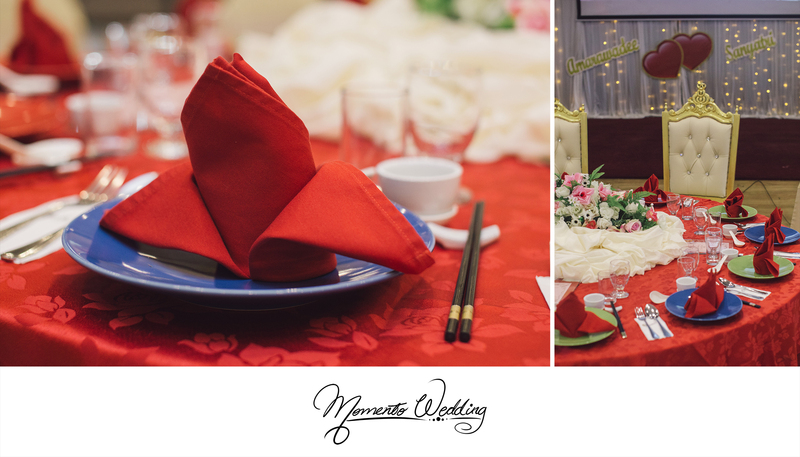 As a wedding photographer, we look forward to cover different weddings that brings different cultures. 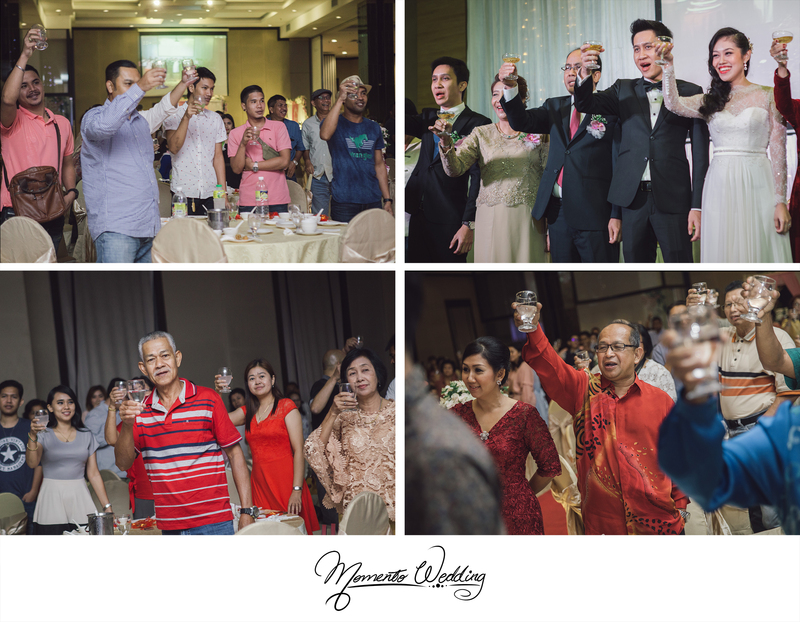 This enables us to open our horizon and broaden our ideas and knowledge. 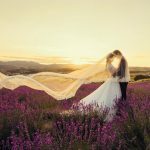 We believe each couple brings a unique story and personality thereby allowing us to create images that are uniquely theirs. 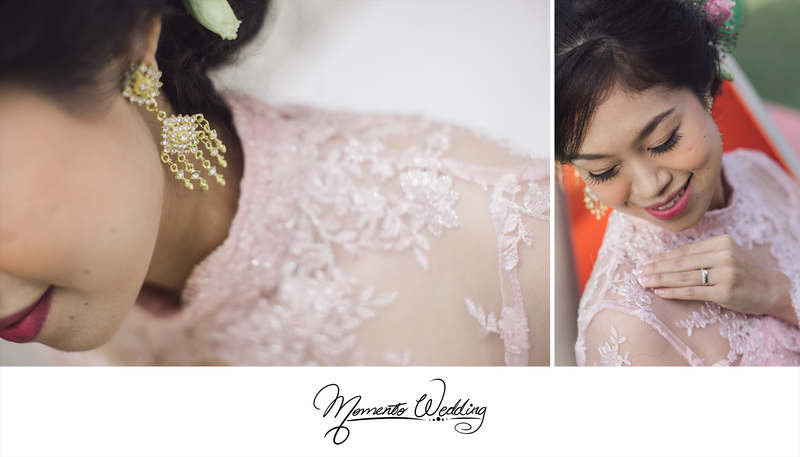 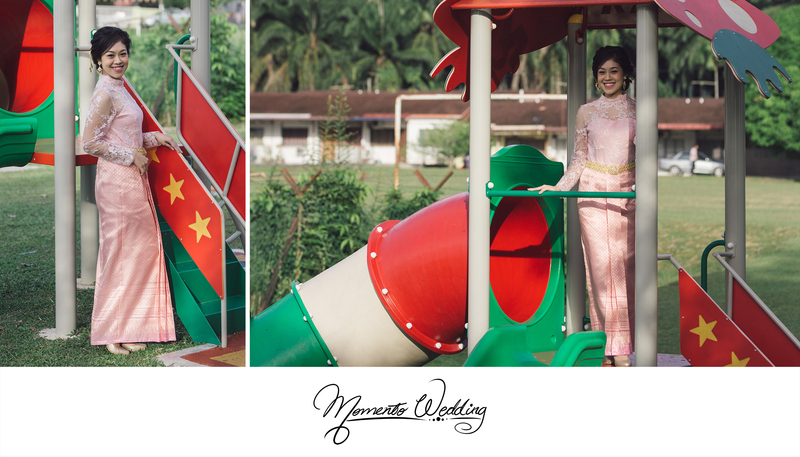 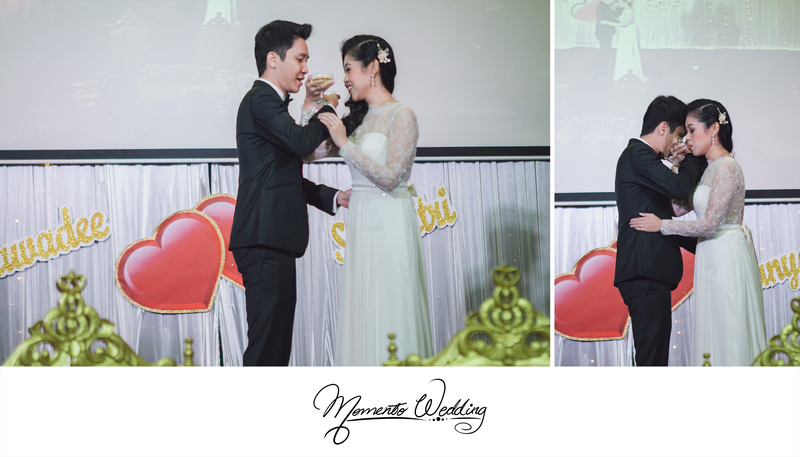 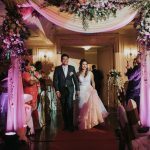 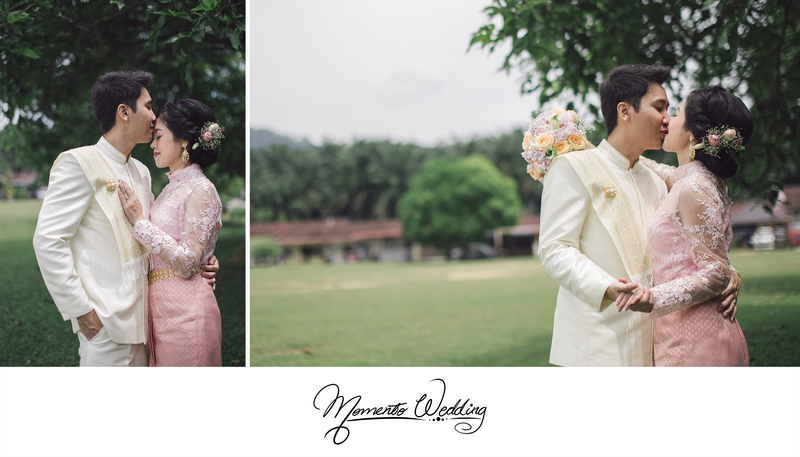 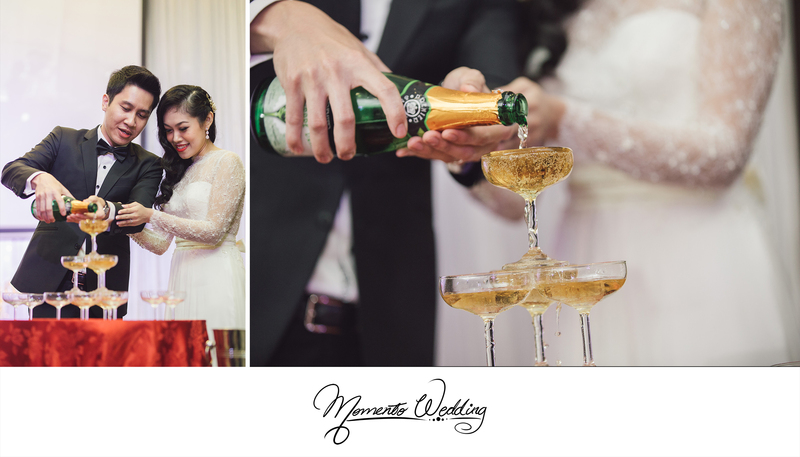 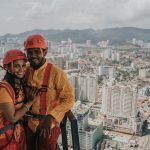 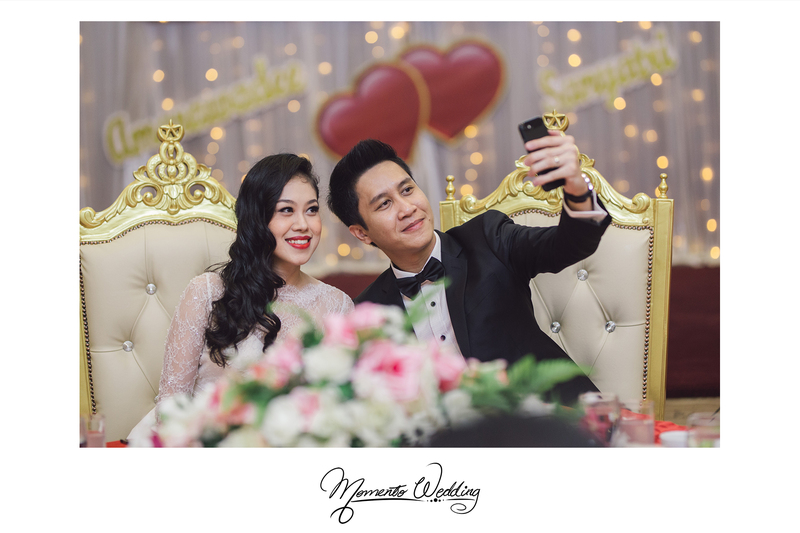 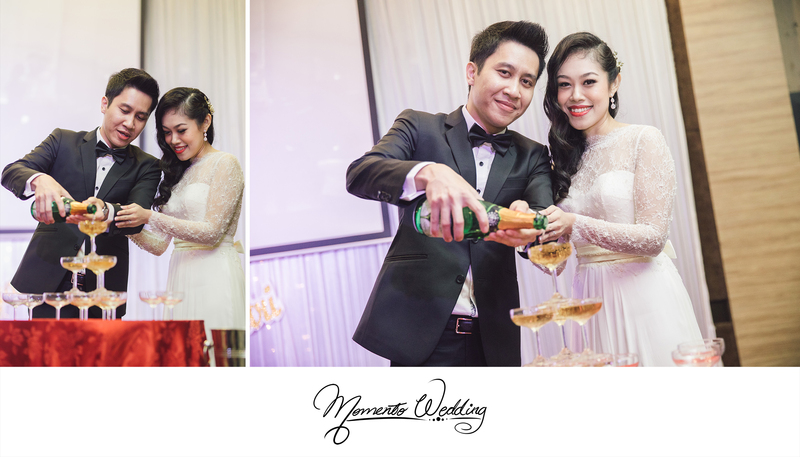 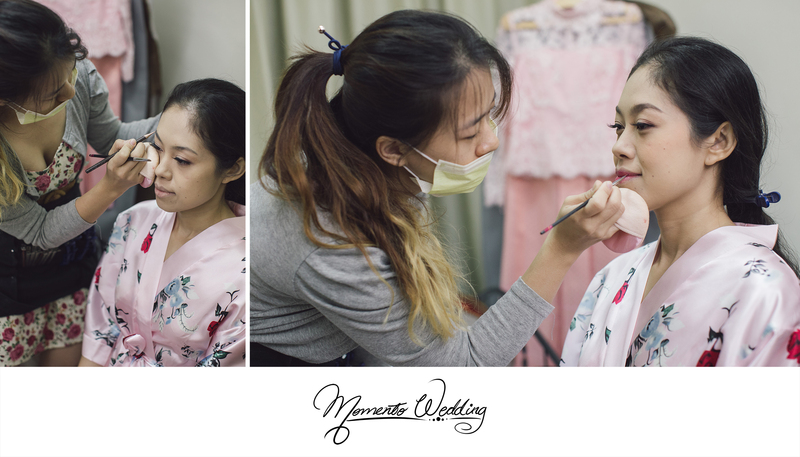 We have had the honor of covering a traditional Thai Wedding that brings Sanya and Amara together. 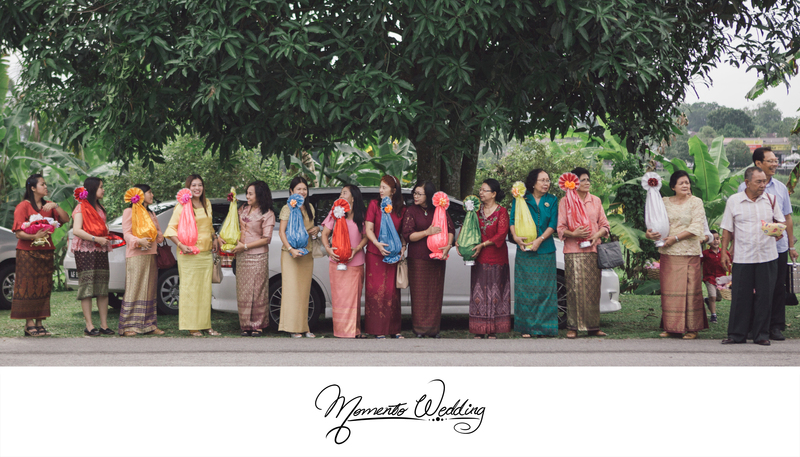 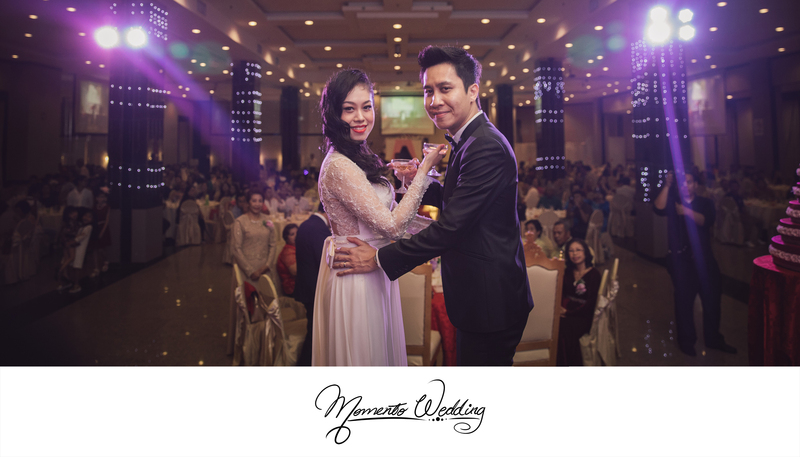 A Thai Wedding is not very far off from our typical traditional Fetching of Bride ceremony. 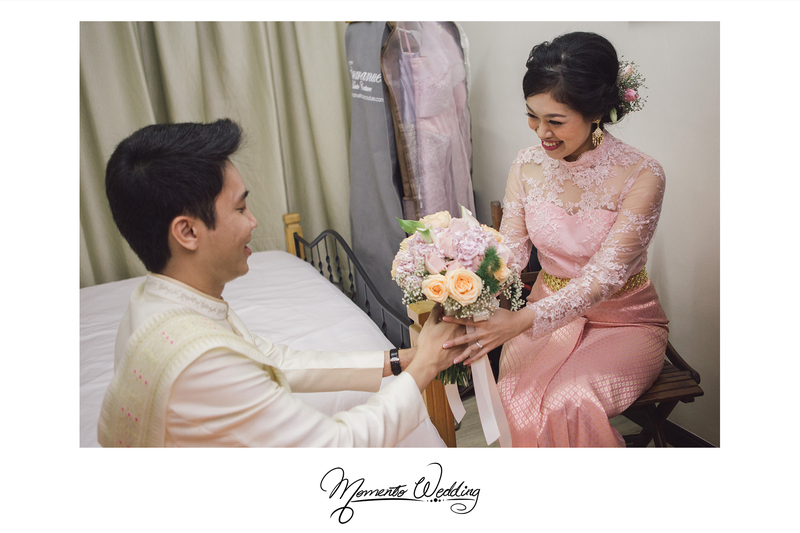 Similarly to our Fetching of Bride, Sanya enters Amara’s room and claims his bride with a bouquet of flowers. 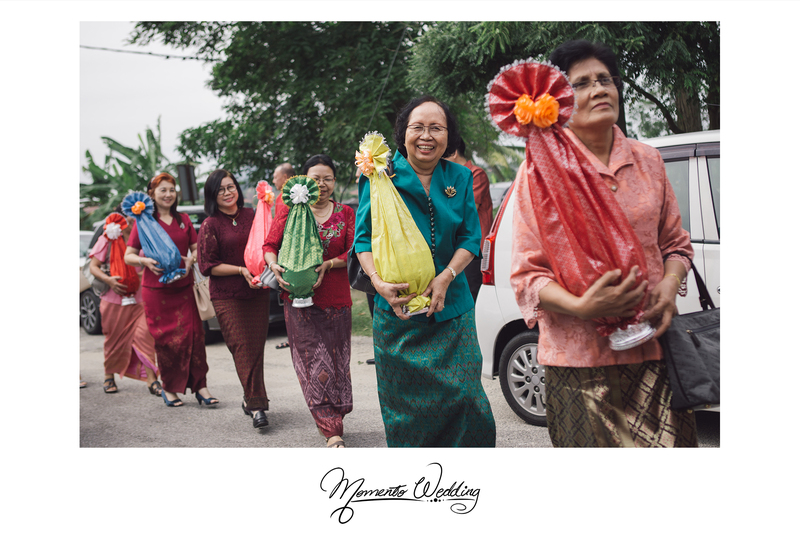 Before the start of ceremony, Sanya and his group of paraders are seen to carry offerings for Amara’s family. 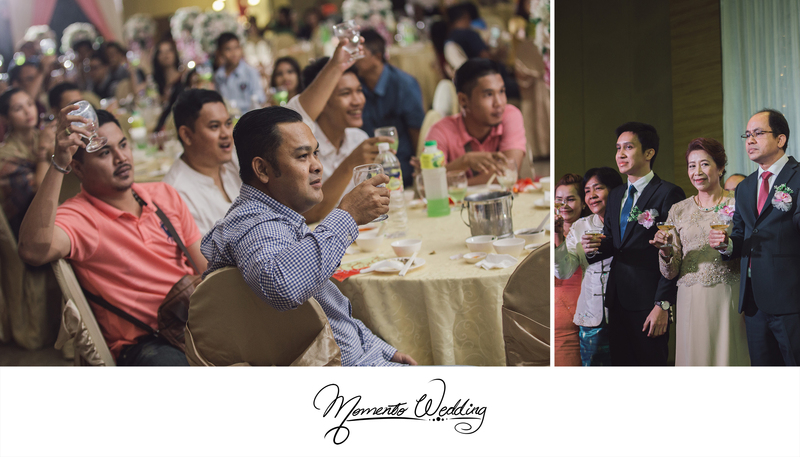 This group of paraders consist of his family, friends and other guests who wish them well. 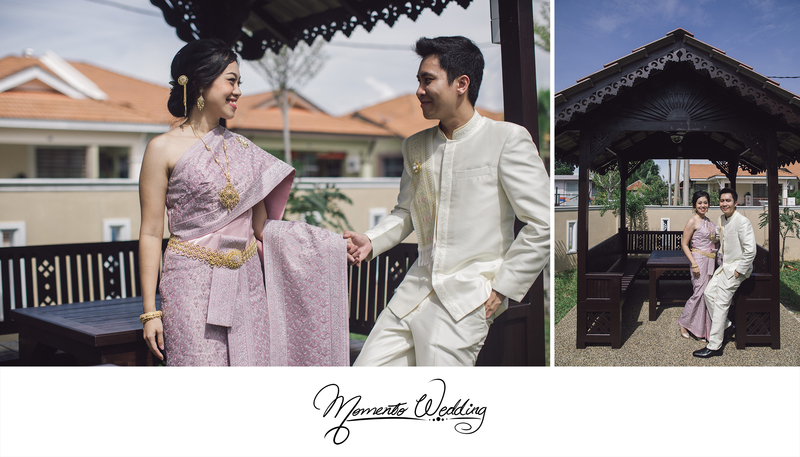 Commonly for couples like Sanya and Amara, family members invite monks over to their house during wedding day. 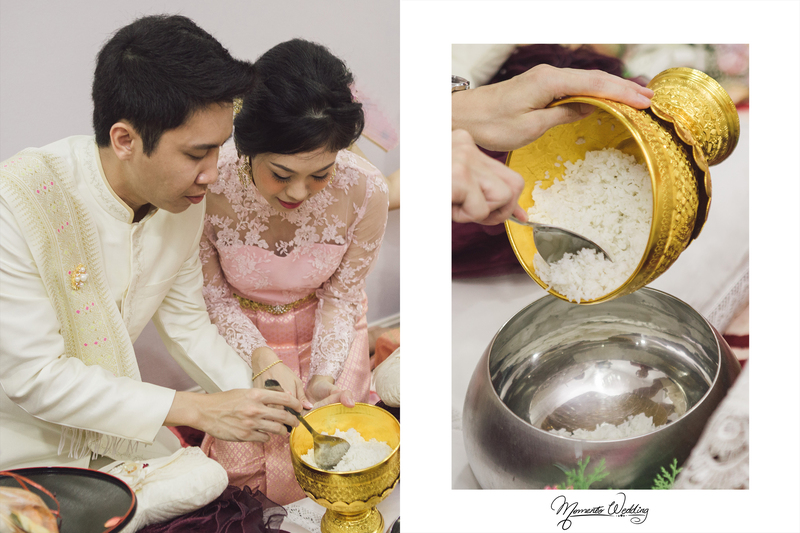 During this religious ceremony, monks chant, offer life lessons and bless the wedded couple. 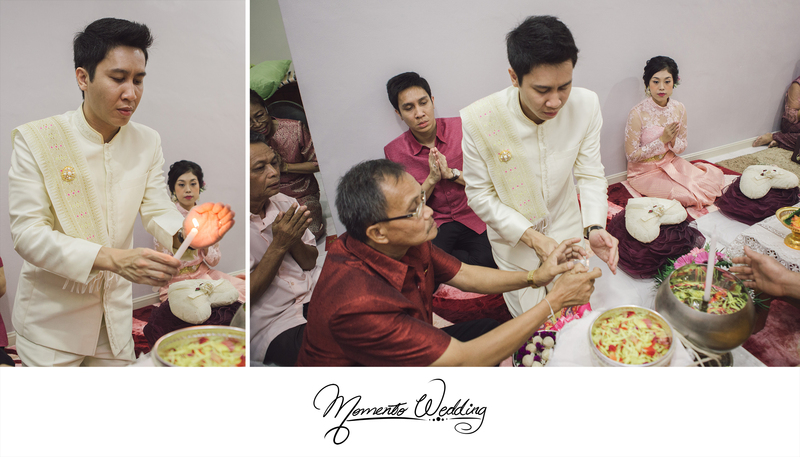 In return, the family feeds the monks before they leave to head back to the temples. 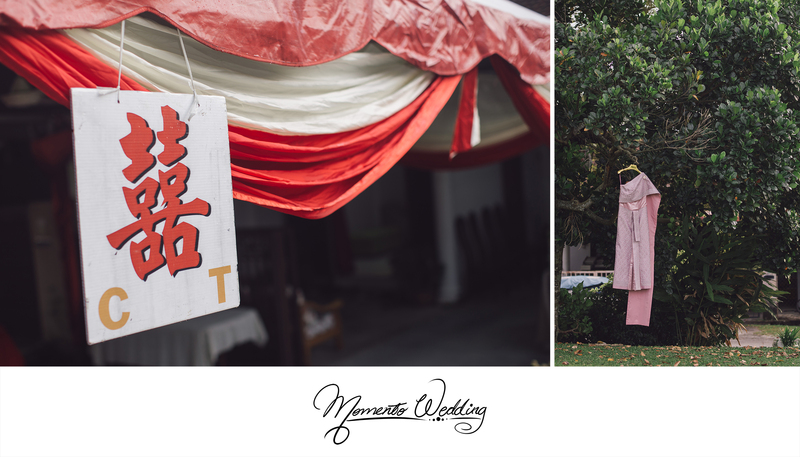 As loyal Buddhists, Sanya and Amara believe in “making merit” by inviting the monks to bring good things into life. 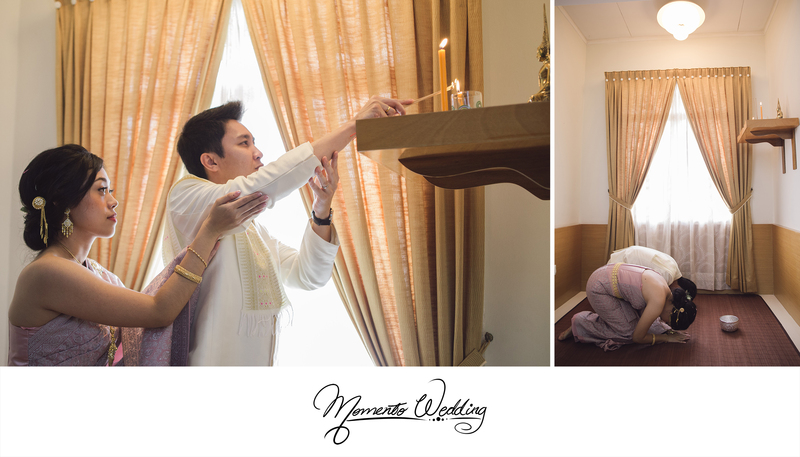 In addition, the monk places a lit candle in a bowl of holy water while chanting. 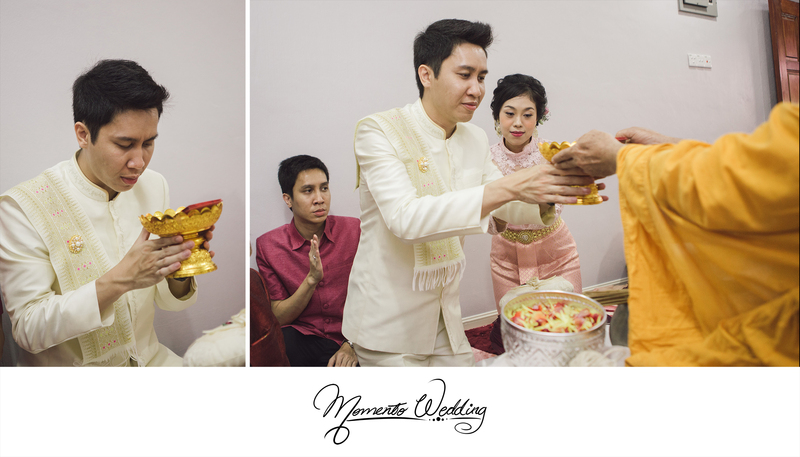 The senior monk then uses the holy water to bless the couple. 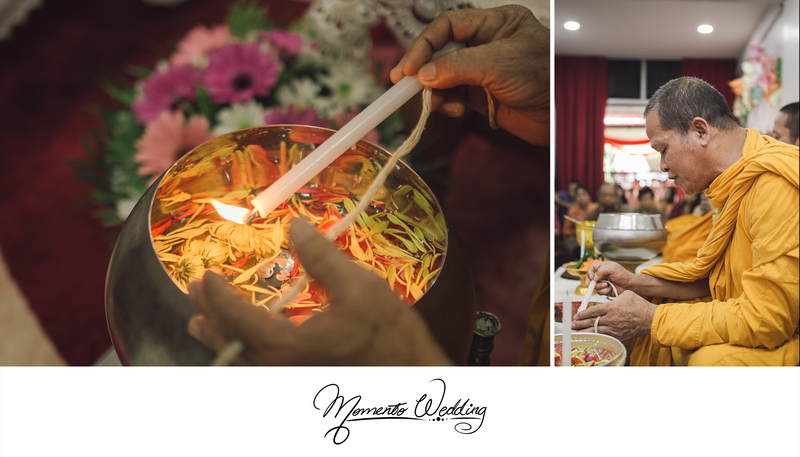 Throughout the ceremonious rituals in a Thai Wedding, the couple sits or kneels next to each other with palms closing. 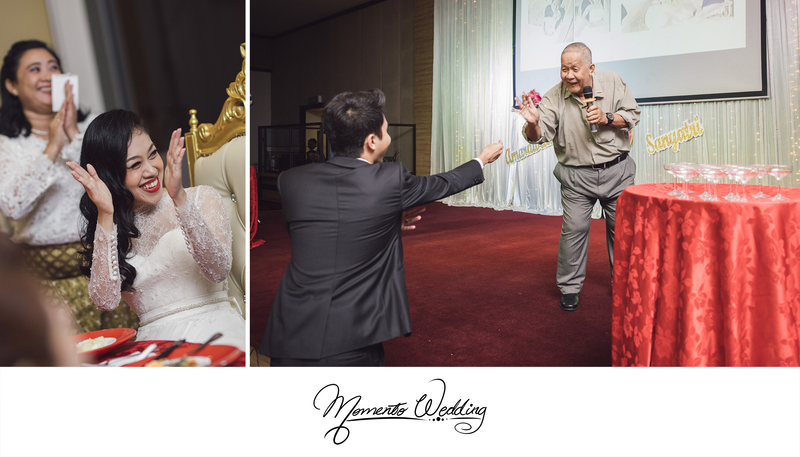 This resembles a praying position. 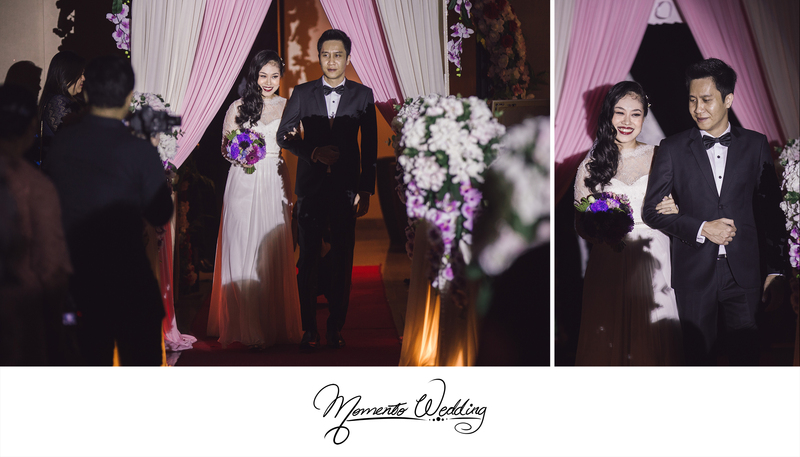 Once the morning ceremony ends, they head on with their dinner reception. 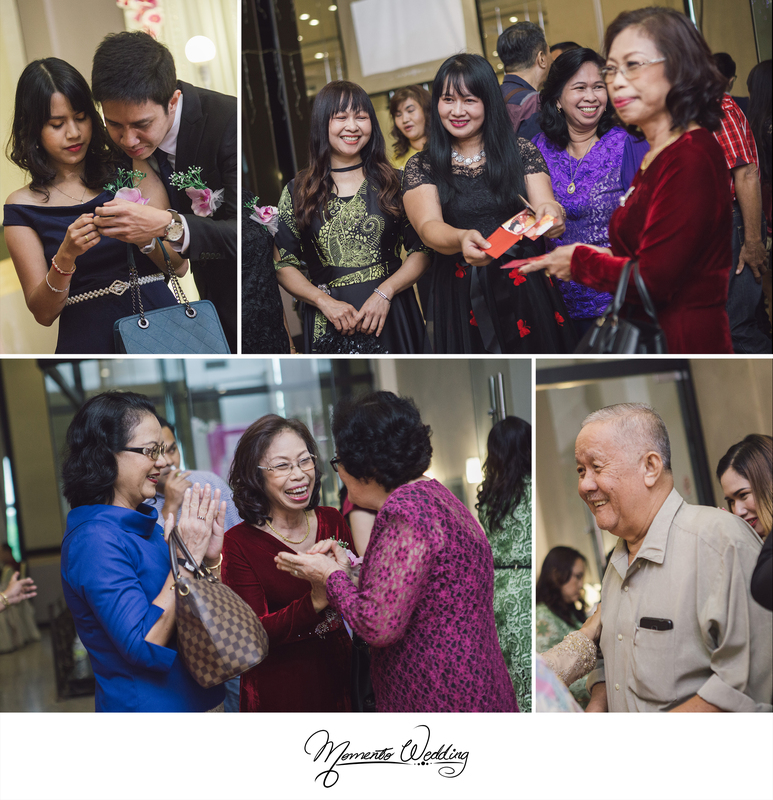 All in all, it is definitely another night full of well wishing friends and family, enjoying and celebrating the union of two individuals.